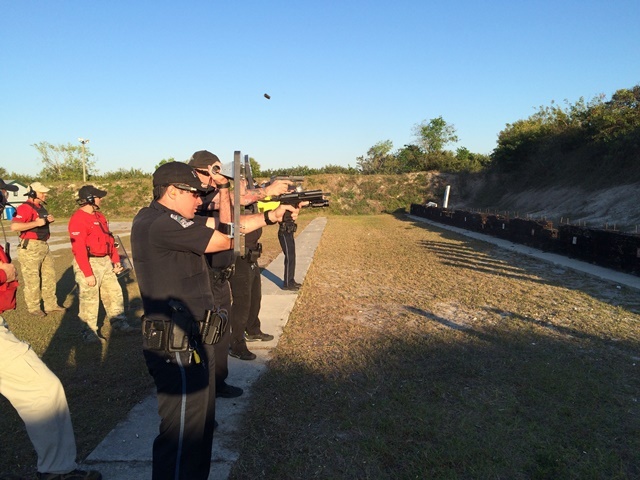 Officers being trained in the use of bullet proof shields that are designed to protect their head and neck area in violent or potentially violent situations. The instructors are using new ear protection devices that work with their radios. These devices greatly improve gun range safety for the trainees and instructors due to better communication.